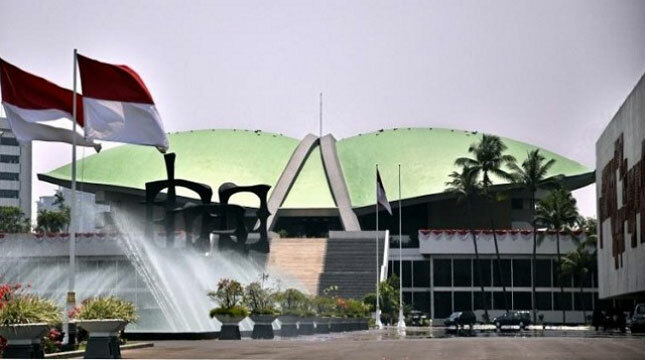 INDUSTRY.co.id - Kupang - Political observer from Nusa Cendana University of Kupang, East Nusa Tenggara, David Pandie said, "presidential threshold" is an instrument to strengthen presidential system as a consequence of multiparty system. He pointed out that the view was related to the determination of the terms of "presidential threshold" (PT) 20 and 25 percent in the Law on the Implementation of General Elections. In the newly enacted Law on Election Administration, it is stipulated by 20 percent of the total seats in parliament, and 25 percent of the total number of valid votes. "I agree with the attitude of the government and the House of Representatives, although there are those who disagree, because what is decided is for the interest of this nation in the long term," he said. According to him, this PT requirement was once applied to the 2014 presidential election, so it should no longer be an important part that needs to be debated. In the 2014 Presidential Election, for example, a political party or coalition of political parties that can nominate a candidate pair is a political party which seats in the DPR at least 20 percent or obtains a legitimate vote of at least 25 percent of the total national legitimate votes. "If based on the number of seats means 20 percent of the total seats of the House of Representatives means that a political party or a coalition of political parties that have 20 percent of seats in the DPR can propose candidates for President and Vice President," he said. In addition to the number of seats, the proposed pair of presidential and vice presidential candidates can be made on the basis of national legitimate votes in the legislative elections. Political parties or coalition of political parties must penetrate 25 percent of the vote. "So the requirement of this presidential threshold has already been applied in the 2014 presidential election, so it should no longer be an important part that needs to be debated," he said. He also sees PT as a long-term regulation to improve the nation's political and governmental system and is no longer used as a political party game. Therefore, for political parties who do not agree with the law already passed by the House of Representatives, please conduct a test of the matter to the Constitutional Court (MK) so that what has been decided to be final and remember for the whole society of this nation, he said. "For those who disagree we respect because in politics there is an interest, and please sue to the Supreme Court Supreme People need a stable democracy to focus on welfare issues," said Vice Rector of Academic Affairs Undana.